I have been in Jaipur for two days and I think two days is perfect for exploring Jaipur. We were in Agra earlier and caught the midnight train to reach Jaipur by early morning. 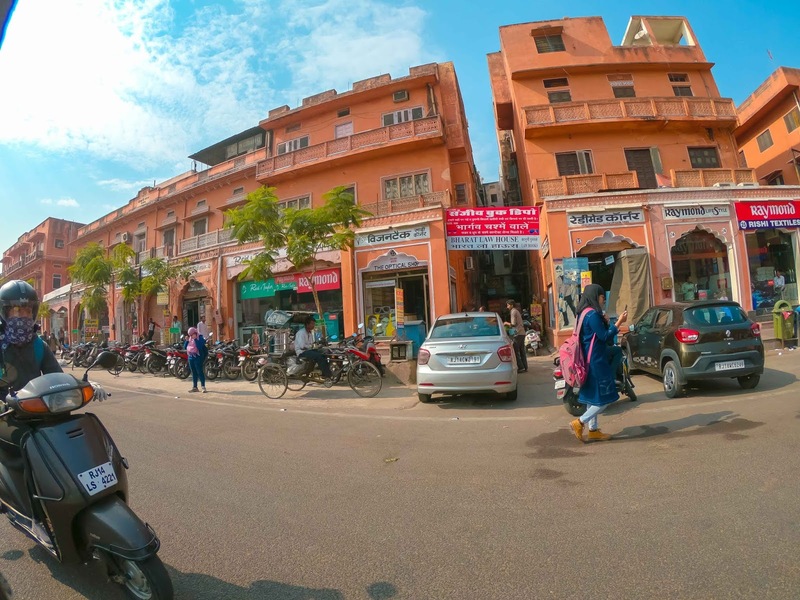 We had booked our hotels at Jaipur in the city itself and is almost two kilometres away from the railway station. And we walked to our hotels in that cold early morning because no rickshaw waalas were ready to take us for less than 150 rupees for that two kilometres. So first ask the fare in any taxi you hiring in the city, most of them are too costly for tourists. Later we found Ola auto is a really useful and economic mode of transportation here. After compensating our missed sleep on the train, we started by 11 am to explore the city. We divided the entire Jaipur into a two-day itinerary. For the first day, we choose the places located away from the city. 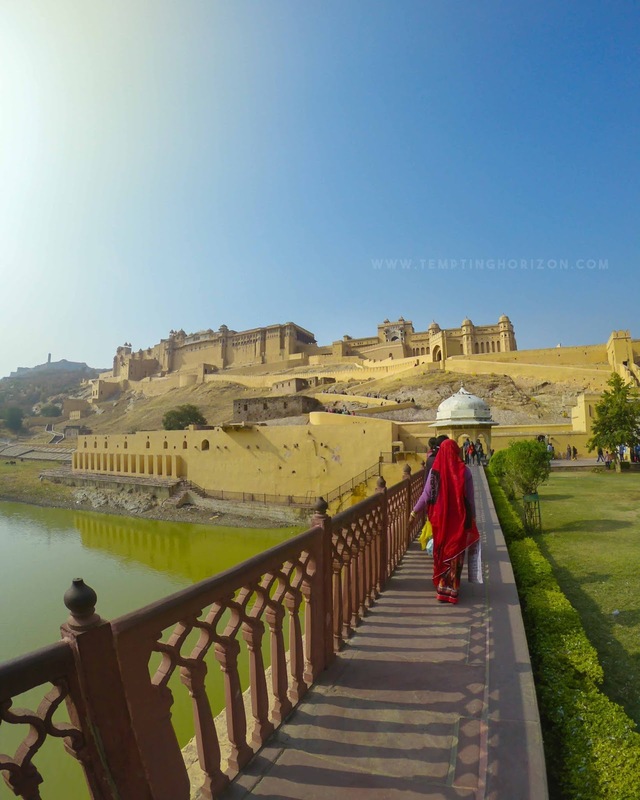 Amber Fort, Nahargarh Fort, Jaigarh Fort and Jal Mahal were there on our list for Day one. These are the destination that situated on the same route, towards the north of Jaipur. This is the place in Jaipur you gonna invest most of your time for sure. 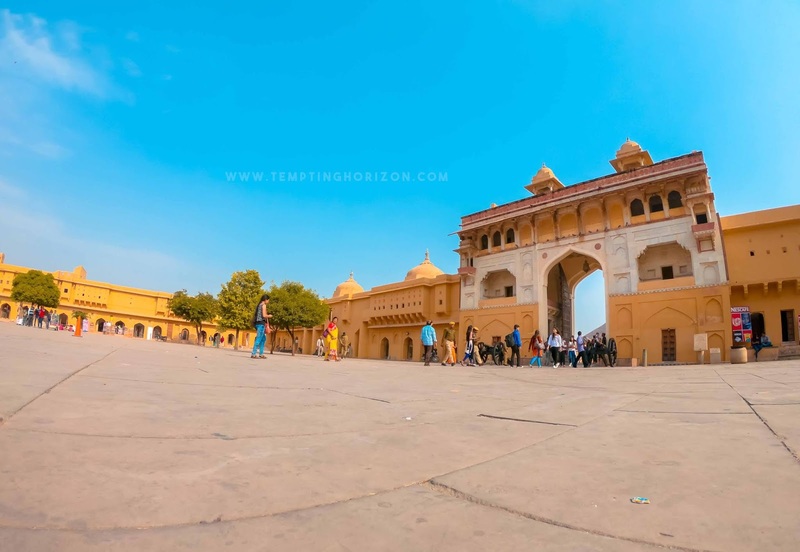 Amber fort is that huge and is located almost 10km away from Jaipur City. 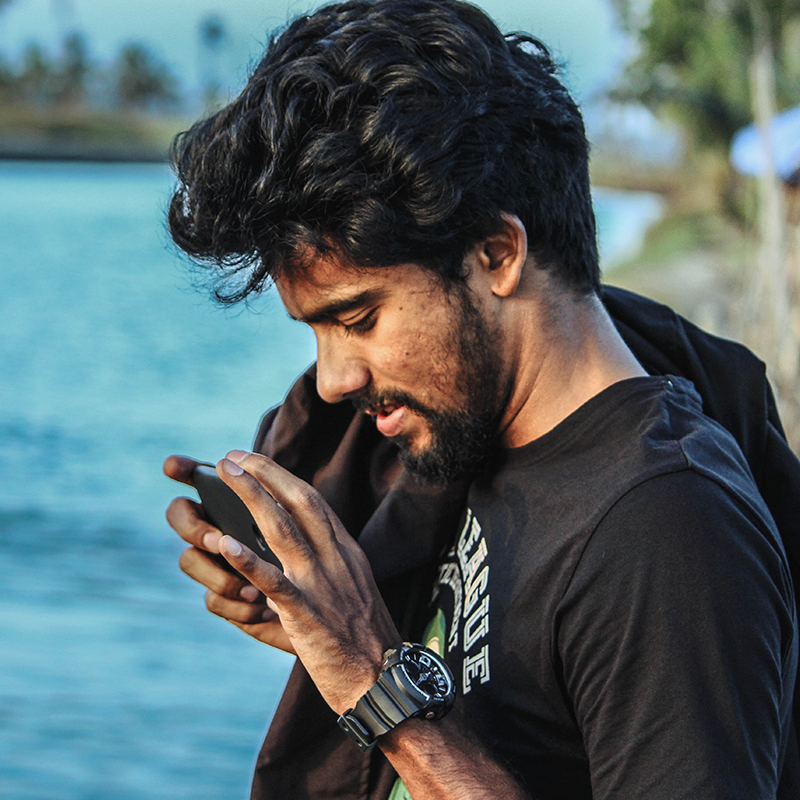 We took an Ola rickshaw online to reach there. That will be an economic option for those who are looking for a budget trip. 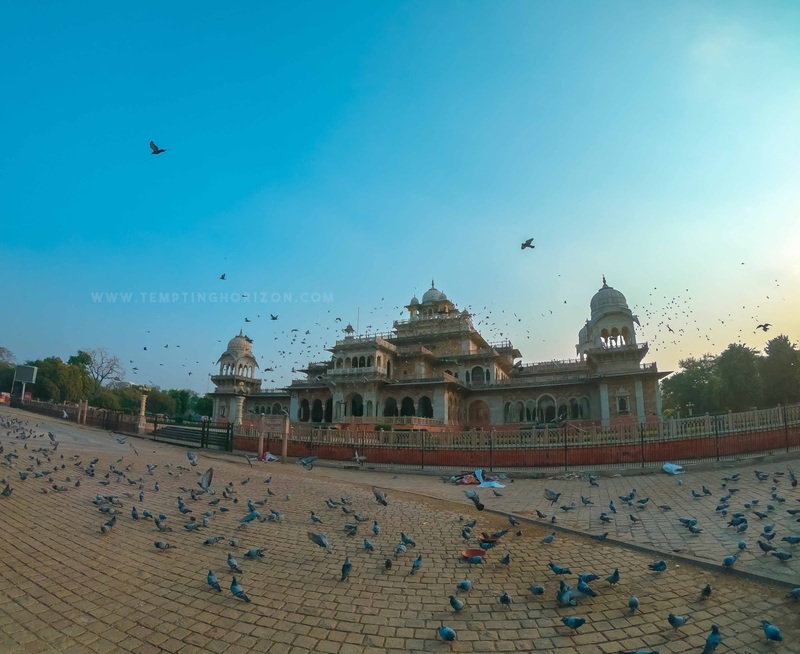 And this is the perfect place for your Jaipur tour to start with. There are three ways by which you can reach the main door of the Palace, by walk, get a car ride or by an elephant ride. Elephant ride is a costly option, which is around 1000 rupees per person and is only available till noon. We took the first option because that will be the convenient for the free spirits like us and was economic too. Also, there are so many things for you to experience inside the Fort. Sheesh Mahal is one of those wonders inside. There are three inner routes to Jaigarh fort from Amber palace. Only one of them is open now and is almost 7Km long and if you have time you can try that 😉. 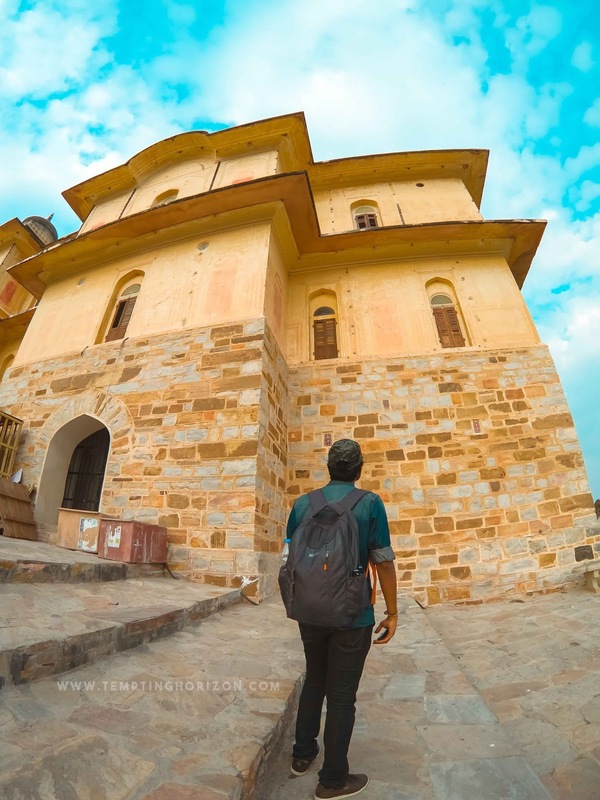 Jaigarh Fort was built for the war purposes and Amber Fort is more like a palace structure. Hiring a guide will be a good option if you want to explore it in a complete sense. And is not very costly, we got one for rupees 200, which includes free return car ride to the main gate. 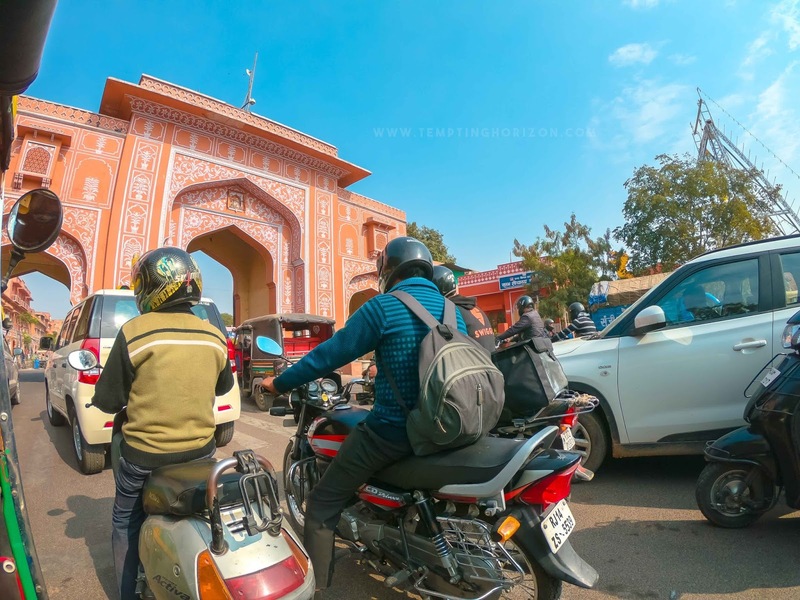 Here comes the toughest part of using the local transport, no buses or online taxies goes up to Nahargarh Fort because it is located somewhere at a hilltop. So the price is what they deciding. 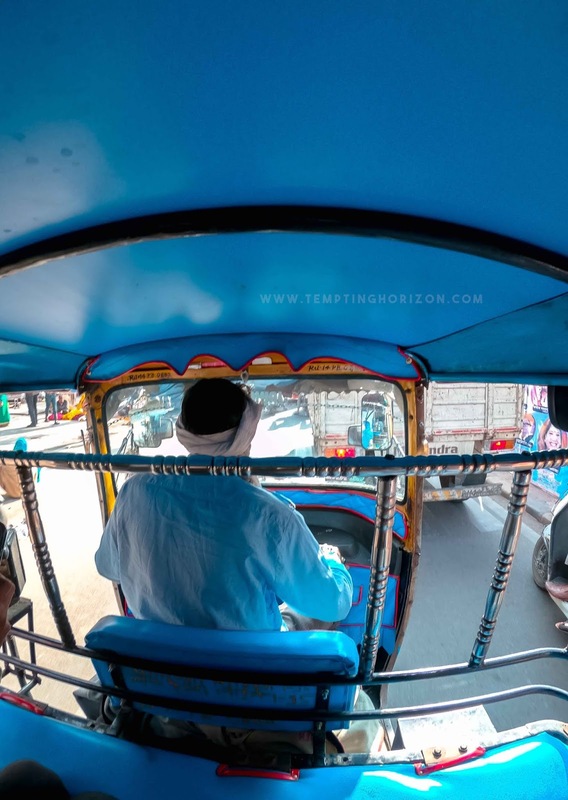 We got one rickshaw for rupees 500 for up and down. The chances for getting a return ride from the top is very limited. Nahargarh Fort is a beauty, actually not the fort, the view from the fort is even attractive. 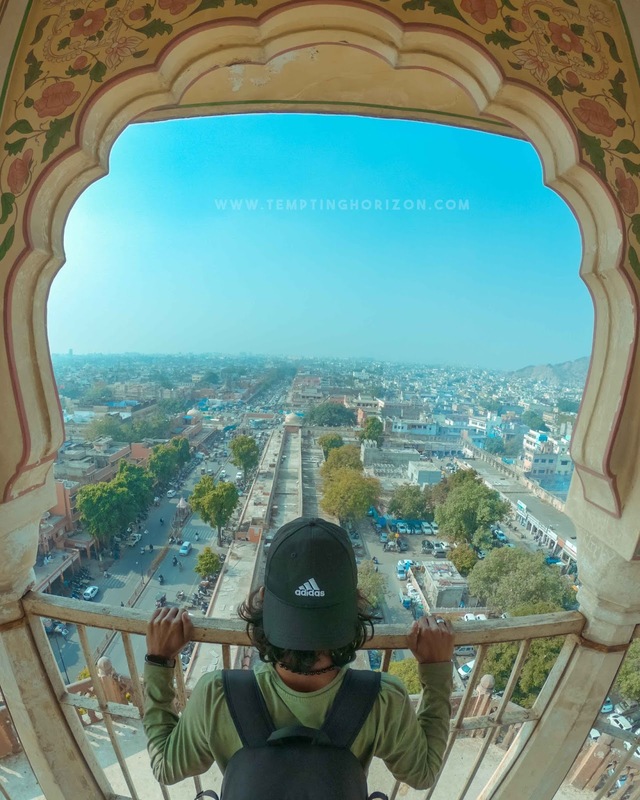 The pictures I have seen all over the web, sunset from the top always remained there at the top of my Jaipur bucket list. Sunset is the ideal timing to visit Nahargarh. That view of sun dipping into the wide horizon of that entire Jaipur town from a decent height is a real treat to eyes. 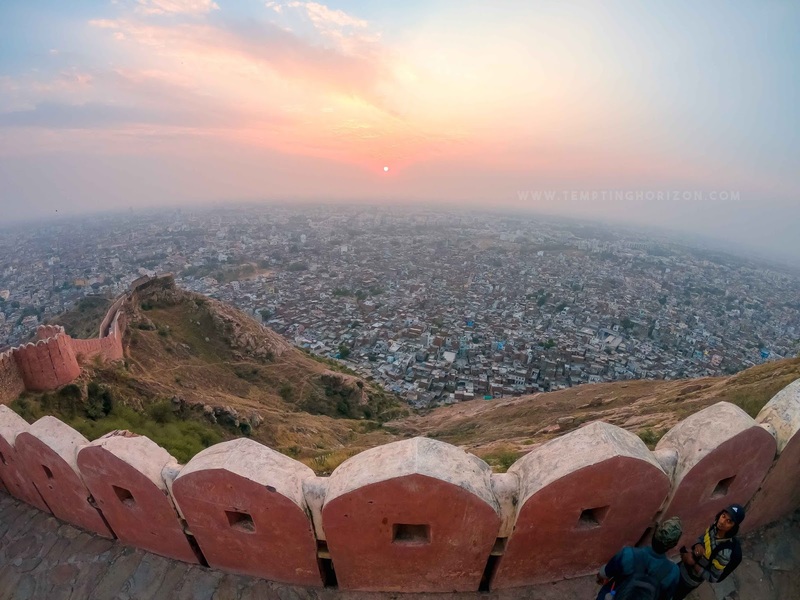 You have to choose between Jaigarh Fort and Nahargarh fort for your sunset in Jaipur. Our go was Nahargarh, so we skipped Jaigarh Fort for then. Both Forts are located on the same route so it is better to visit both one after the other. That's how the last light of our day one has dropped. But we have one more destination was there in our pockets. We chose Jal Mahal for the closing of day one because of two reasons. It is the only place accessible in the night on our day one's list and the Mahal looks even beautiful under the moon. Nowadays we can't go into the Mahal, the entry is completely restricted. Only we can watch it from the shore side. 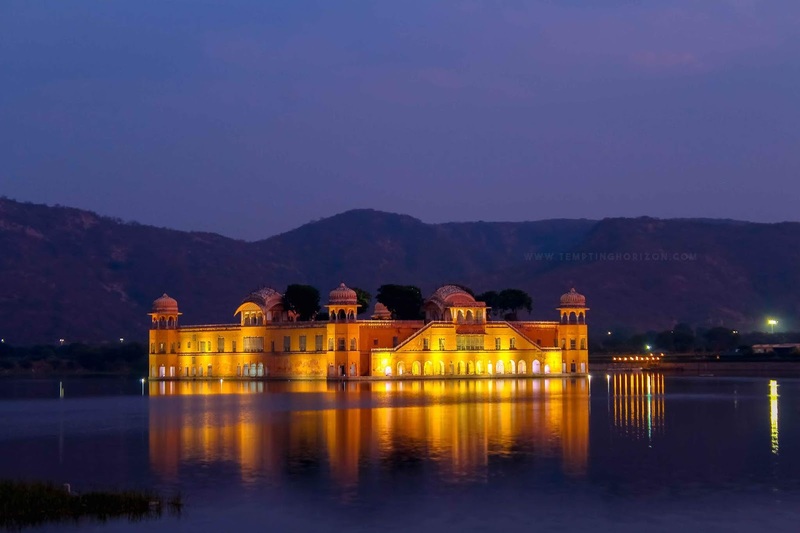 It looks beautiful with the lights turned on in the night with its reflection in the Man Sagar lake. You can see the Mahal from the main road itself. We winded up the touring for day one and we get back to the hotel by 8 pm. We also skipped Choki Dani, which is a cultural market of Jaipur. 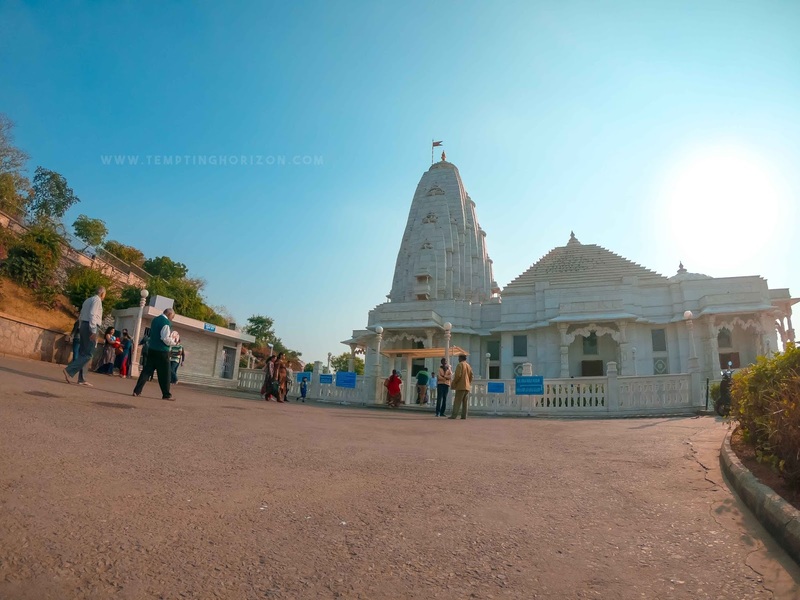 It was there in our list earlier but it is located 20 km apart in the other direction of Jaipur town. So we decided to leave it for the next time. We have tried Rotti and paneer, as it is the national food of North Indians along with Jaipur special spicy Masala Pappad for the dinner. A Fresh cold morning in Jaipur. After having breakfast, we had a number of places left in the city to explore. As usual, we booked an Ola rickshaw and our first destination was Hawa Mahal. 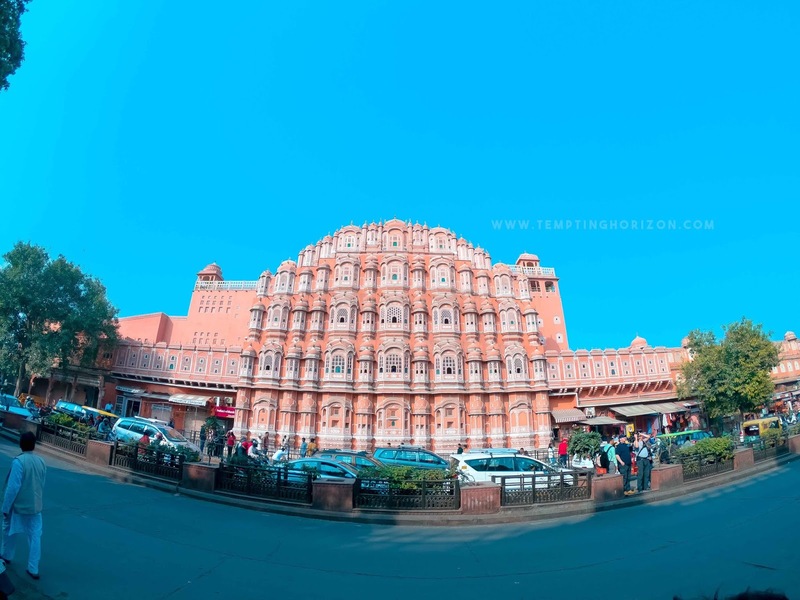 I guess Hawa Mahal is the most viewed photograph from Jaipur, as it can stand as an identity for Jaipur. 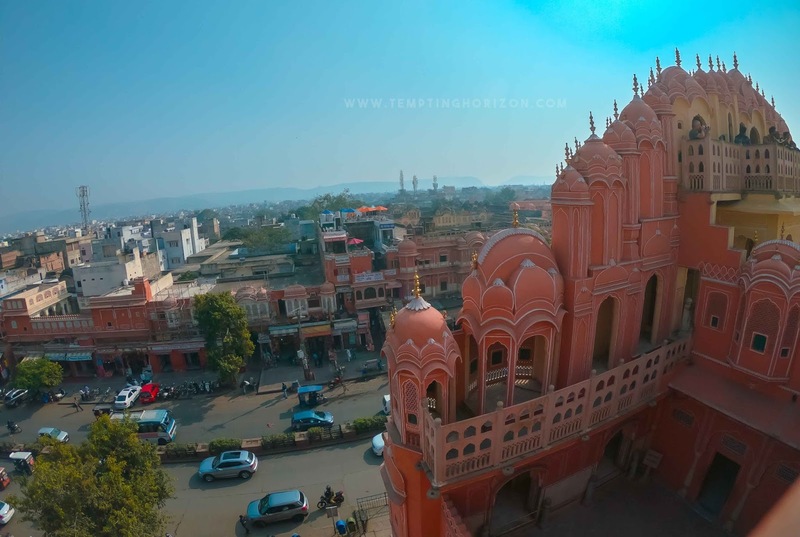 Mahal has a unique and beautiful front view which is a typical Hindu architecture designed by Lal Chand Ustad and made with red and pink sandstone. All the specialities of the structure are described there itself, inside the Mahal. So read it before entering because that makes your experience double worth. 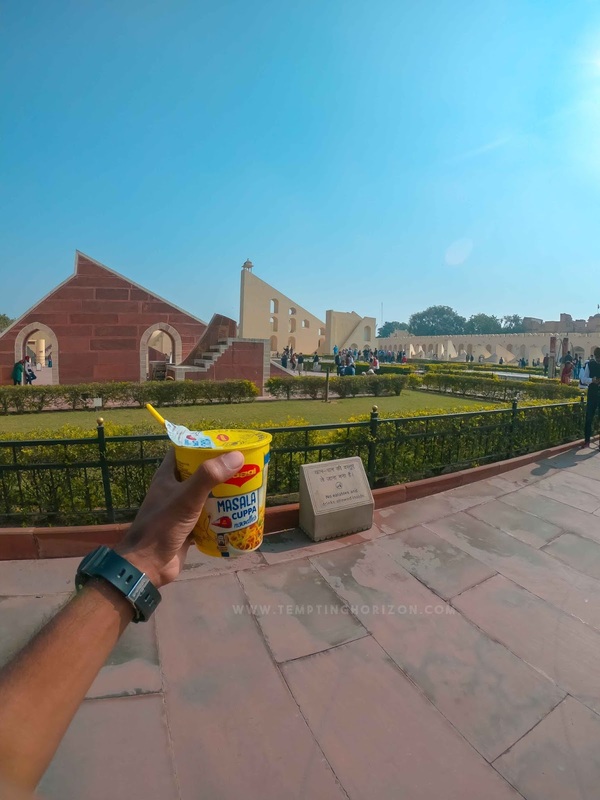 Hawa Mahal, Jantar Mantar, City Palace and Isarlat. 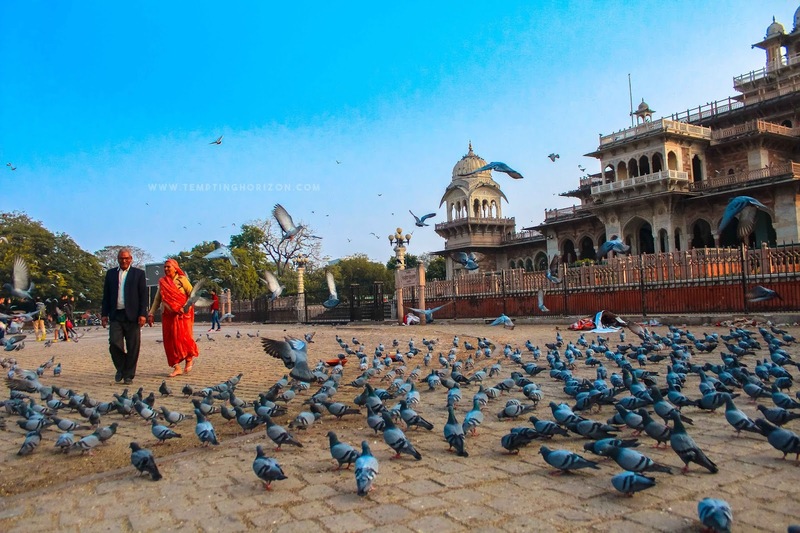 All these are the main attractions of Jaipur city and are located in walkable distance to each other. Once we spent some quality time inside Mahal, we moved to Jantar Mantar. This is not a place for children like me 😄. 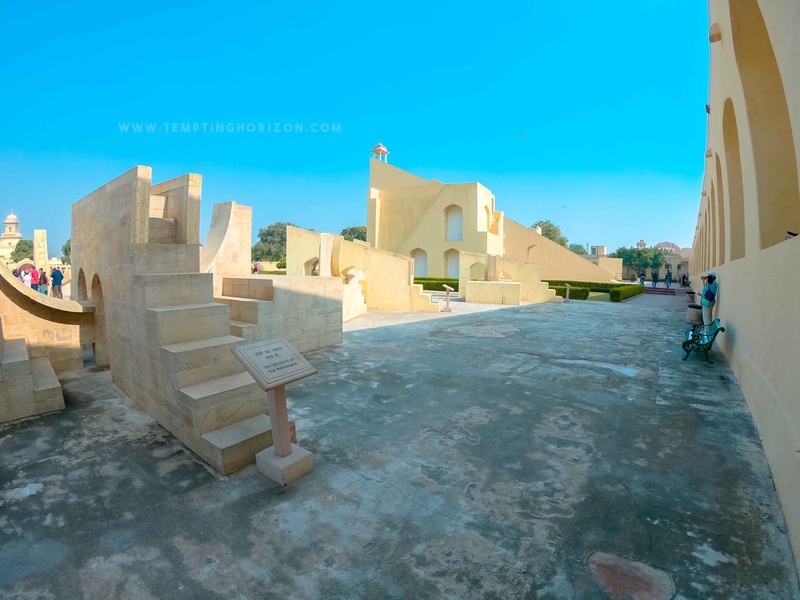 Jantar Mantar is a collective place of 19 architectural astronomical instruments used to find the time and other star's and celestial bodies' location in the older times. and this is one of the UNESCO world heritage sites. The use of every instrument is described near to the structure itself. Don't underestimate, some of them are really complex machines. Can't even imagine how brilliant they were. We just wandered around the place without understanding what exactly the structures are. After a short lunch, we aimed to Isarlat Sargasooli. Standing tall in the town, 140ft height Isarlat is a must visit place in Jaipur. There was nobody there when we visited the place, maybe because most of the tourists are unaware of it. It is the tallest spot in the city to get a complete view of the town and beyond. 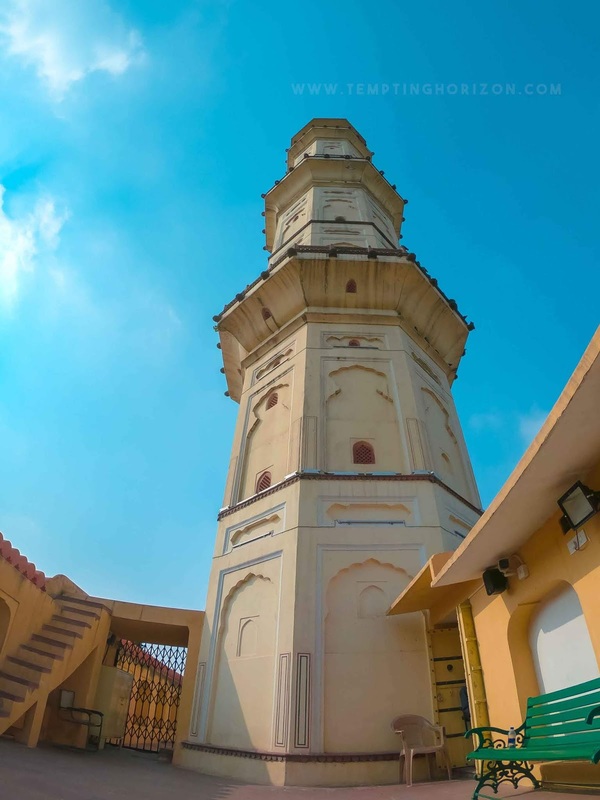 It is more like a lighthouse-like structure and is built to commemorate the victory of Sawai Ishwari Singh over Sawai Madho Singh in 1747. And Sargasooli simply means the way to heaven. Since the entrance fee for the City Palace was not fit our pockets(2000 rupees per head), we simply skipped that spot. The charge is because it is managed by the royal family not by the government. You can see it from outside for some small fee if you are interested. Birla Mandir and Albert hall museum were left on our bucket list and we went to Birla Mandir by leaving museum for the sunset. Simply a place to refresh yourself. A calm and peaceful ambience. I don't know what is the story of this place or what it actually it represents. It holds that ambience of a perfect temple. Just go there spend some time, refresh yourself and come back. Exactly what that we did too. Another favourite sunset from Jaipur. A beautiful structure resembles a royal palace located on an ideal spot. We didn't enter the museum, that was not the plan but that's how it's ended. Instead, we spent the whole remaining hours in front of the Museum with those countless doves who chill out there. A number of local people were there to enjoy the dusk. We invest some time in collecting those beautiful frames and then simply enjoyed the ambience. And literally, that was our final spot on Jaipur. As the sun sets off, we went to the markets in Jaipur for small scale shopping. Since our bus to Delhi was scheduled for midnight, we had enough time to explore the markets. Jaipur is rich in varieties of Jewelleries, Clothing, prints and many other kinds of stuff. And there are different streets which specialize in different items. Johari Bazaar, Tripolia Bazaar, Nehru Bazaar, Bapu Bazaar etc. are some of the famous markets in Jaipur. And that is how we ended our fabulous journey in Jaipur, with leaving behind all those missed spots for the next visit. 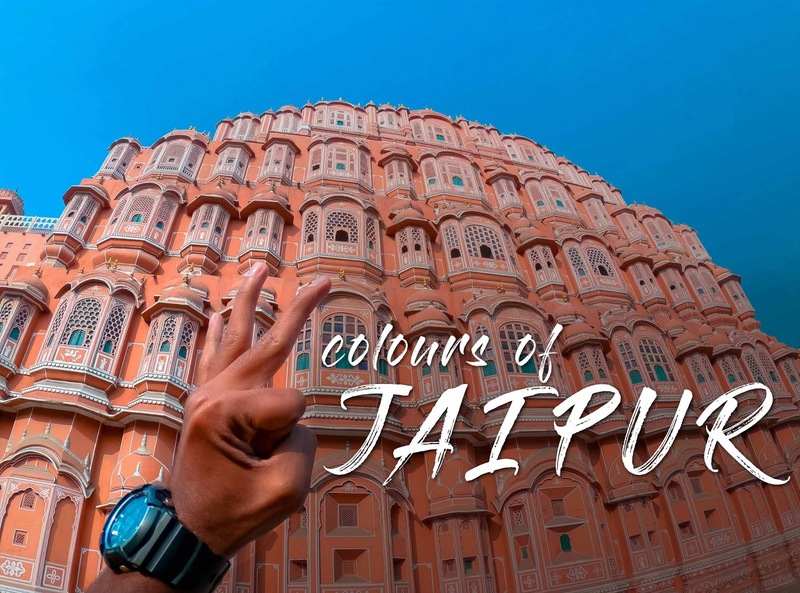 Hope my experiences will help you to make your Jaipur adventure even better.